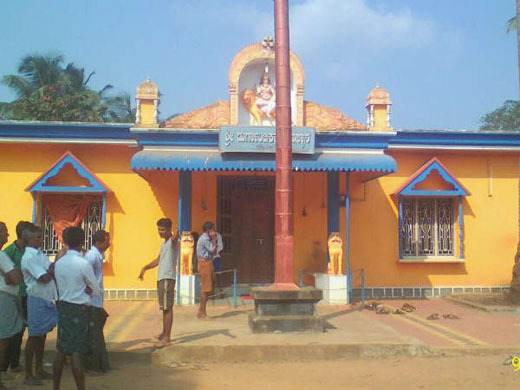 Udupi, Mar 29, 2017: Burglars gained entry by breaking the lock of the front door of Heroor Shree Durgambika Temple on March 28, Tuesday late at night and decamp jewellry worth Rs 3.25 lacs. According to Temple sources the priest had locked the Temple after the Pooja at around 8 pm on Tuesday Night.On Wednesday morning when he and the main priest Ramaiah Balega came to Temple as usual , they found the locks were broken. Immediately informed Byndoor police about the matter. It is estimated that thieves have robbed silver and gold ornaments worth Rs 3.25lacs. You will be caught by police, why do you dare to do it.